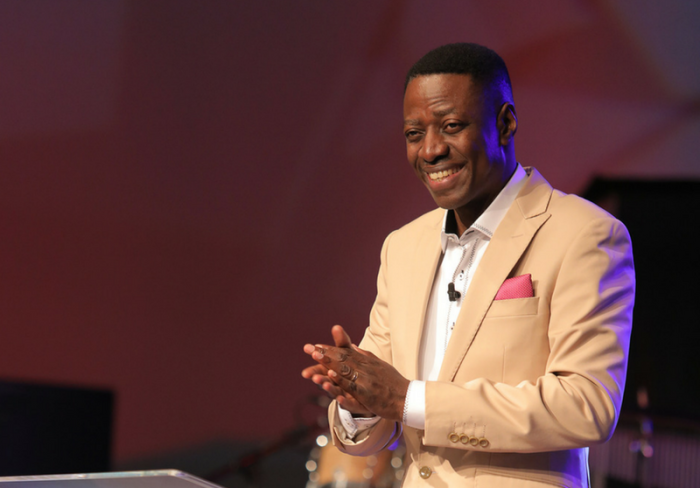 Sam Adeyemi, a world-renowned prosperity preacher based in Nigeria, who previously taught that tithing was a requirement for Christians to allow God's blessings to flourish in their lives, stunned followers and critics in a recent message when he declared the requirement had expired because Jesus freed them from the practice. "So I say again, tithing as practiced under the Law of Moses as a regulation has expired. No Christian should feel guilty for not paying tithes. No Christian should be made to feel guilty for not paying tithes," Adeyemi said in a hotly debated video clip posted online. Adeyemi is the founder and senior pastor of the more than 20,000-member Daystar Christian Centre, which is one of the fastest growing churches in Africa. Quoting Romans 8: 1-4, the influential preacher who challenged leaders at Willow Creek's 2017 Global Leadership Summit to build hope into the next generation, defended his new position on tithing. "There is therefore now no condemnation to those who are in Christ Jesus, who do not walk according to the flesh, but according to the Spirit. For the law of the Spirit of life in Christ Jesus has made me free from the law of sin and death. For what the law could not do in that it was weak through the flesh, God did by sending His own Son in the likeness of sinful flesh, on account of sin: He condemned sin in the flesh, that the righteous requirement of the law might be fulfilled in us who do not walk according to the flesh but according to the Spirit," he said. "Nobody should tell a Christian that for you to be accepted before God first or for you to be righteous you must pay your tithes. When Jesus said it is finished it was finished. There is nothing anybody can add to what Jesus did to be justified before God," he added. "All anybody needs to do now to be free from sin is to pray and ask for forgiveness." Adeyemi's recent message on tithing stands in stark contrast to his previous message called Covenant System for Increase. "God has a unique way or system of prospering people and it is important that we align to that system ... There are different classes of giving and the first one is tithing. Many people argue that tithing ended with the Old Testament; is not mentioned in the New Testament and that it passed away with the Law of Moses. However, the tithe predates Moses and the Law because Abraham, while returning from battle, met Melchizedek and gave him a tenth (a tithe) of all the plunder he got from the battle. In return, Melchizedek gave him bread and wine and blessed him (Hebrews 7: 1-9)," Adeyemi wrote. "Tithing is a deep spiritual principle ... tithing helps us to secure God's blessings. The way you are a citizen of a country and it is mandatory that you pay your taxes to ensure national prosperity, is the same way that, as a citizen of God's kingdom, you pay your tithe. The tithe is not a gift to God; it is God's property. He calls it robbery when you don't pay it (Malachi 3: 8-12). Paying your tithe ensures you contribute to the welfare of the kingdom. As an individual, if you do not play your part, you are contributing to the failure of the community. Organizations and nations should give since the nations who give are the ones who are the most prosperous while those who beg remain poor. When you pay your tithe, no devourer, policy or system can impoverish you," he said. Adeyemi's apparent about-turn on tithing has sparked a major discussion on the subject globally and more deeply in Africa where the prosperity gospel has taken root among the poor. "Nice one Pst. Sam Adeyemi. This is a very sincere, objective and honest teaching. A lesson for those defending tithing because of their selfish interest. We are in the dispensation of Grace and tithing as required by law and the curses for defaulting has expired. In the new testament, we are to give willingly as an act of thanksgiving to God our source," Lagos resident Michael Livingstone, who describes himself as a revivalist, said in a post online. The Christian Post reached out to Bill Hybels, senior pastor of Willow Creek Community Church in South Barrington, Illinois, for comment on his leadership summit speaker's position on tithing Friday but his church said he had no comment. In an op-ed for The Gospel Coalition in 2017, Thomas Schreiner, the James Buchanan Harrison professor of New Testament interpretation and associate dean for Scripture and interpretation at The Southern Baptist Theological Seminary in Louisville, Kentucky, outlined several reasons why tithing is not a requirement for Christians. "The commands stipulated in the Mosaic covenant are no longer in force for believers. Some appeal to the division between the civil, ceremonial, and moral law to support tithing. Yet these divisions, I would observe, are not the basis Paul uses when addressing how the law applies to us today. And even if we use these distinctions, tithing is clearly not part of the moral law. It's true the moral norms of the Old Testament are still in force today, and we discern them from the law of Christ in the New Testament, but tithing is not among these commands," Schreiner said in part.